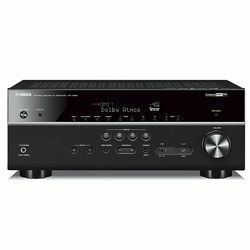 I have tested two high-performance solutions - Yamaha RX-V685BL vs RX-V585BL. This review should help you understand what model is better for you. 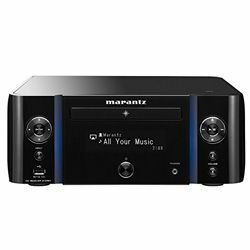 These solutions use various audio enhancement technologies to provide you with deep, distortion-free sound. But if we compare the total power output, we will see that V685BL is more powerful - 650 W versus 560 W that V585BL can output. 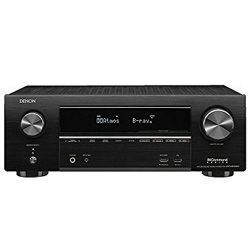 Both receivers support the modern 4K 60 Hz video standard with HDR and HLG features. Both models have Bluetooth and Wi-Fi modules which allow you to access numerous internet streaming services, like Pandora, Spotify, Tidal, etc. These two receivers support the Zone 2 technology. The playback can be easily controlled using a remote controller or the buttons located on the receiver itself. Both solutions are built-well and customers do not experience any problems with ports. 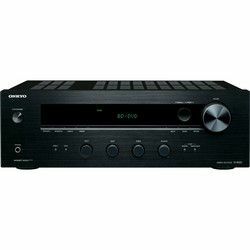 The difference between Yamaha RX-V585BL vs RX-V685BL in terms of the ports is that V685BL has a phono input and it also has 5 in and 2 out HDMI ports versus 4 in and 1 out ports that V585BL features. Yamaha uses the YPAO technology that analyzes acoustics in the room. The manufacturer provides you with the microphone required for the configuration. The process is straightforward and customers do not have any issues with that. It is quite precise, but you can always fine-tune the settings afterward using a user-friendly application. Both models look almost the same – they have a simple LCD display that shows some basic information. There is a large knob to control the volume level. There are also three rows of buttons and some extra ports. 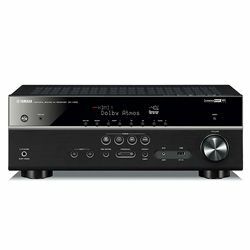 Both receivers come with a remote controller, but V685BL comes with a controller that looks a bit more modern. Both solutions are easy to control. The dimensions are 14.9x17.1x6.7 in for V685BL versus 12.4x17.1x6.3 in for V585BL. The weight is 23.1 pounds and 17.19 pounds respectively. 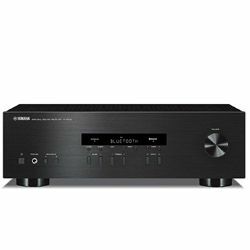 The output sound is deep and rich – many inputs available (5 in HDMI). Many options and settings make this device customizable. Wi-Fi and Bluetooth modules assure a stable, high-speed connection enough for a lag-free playback. Some options have only a brief explanation. The remote control has only a toggle-style button for input selection. The output sound is well-balanced (due to the YPAO technology). It has any parameters, so it is very versatile. The remote controller is very ergonomic and it lets you access various menus directly. It doesn’t have a phono input. The UI a bit confusing.